Location: Cusco, Peru. 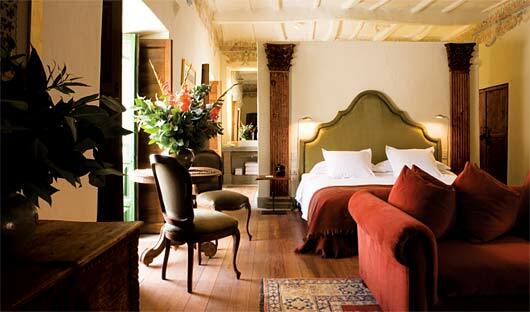 Inkaterra La Casona is a sumptuous yet sensitive conversion of a 16thC colonial manor house to a boutique hotel. 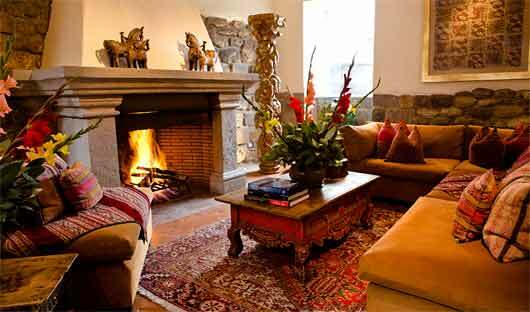 This exquisite property on Las Nazarenas Square is an oasis between the San Blas artist district and Cuzco’s vibrant main plaza. 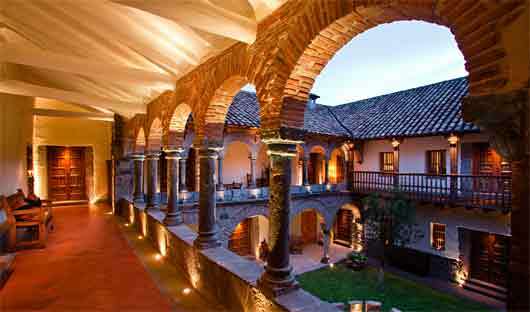 Thought to be the first Spanish construction built over an Inca complex, and later occupied by conquistadors and their descendants, La Casona operates like a private residence with all areas exclusive to its small number of guests. Amenities include ornate sitting and dining rooms, a private spa, reading lounge and outdoor terraces. 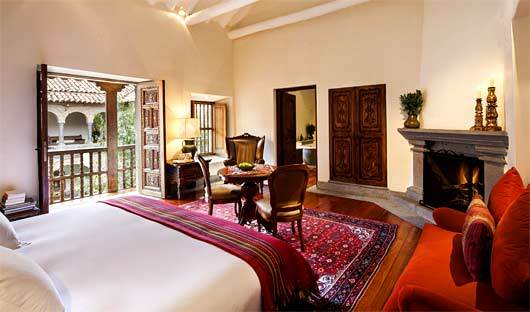 The luxury suites feature stone fireplaces, original Inca wall hangings, Spanish icons and plush Baroque furnishings, discreetly blended with contemporary touches everywhere. The Plaza Suites are filled with character and maintain original murals. 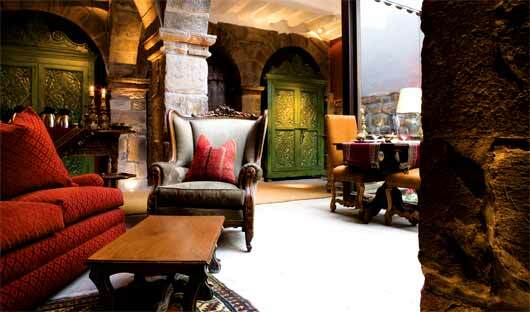 The suites offer either a king or twin beds, dining area for two guests with a stone fireplace. 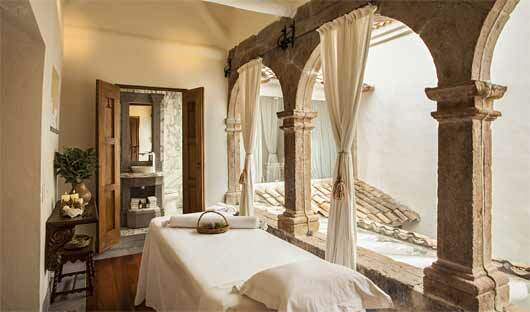 Enjoy a large marble bathroom with two sinks, a bathtub and specially handmade Inkaterra toiletries. 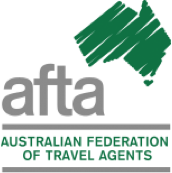 The suites also include heated floors, wifi, flat screen TV with cable, DVD player, iPod speakers, minibar, safe, cordless phone and the rooms are serviced three times daily. 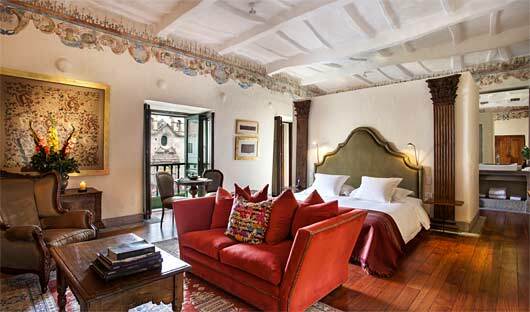 The Balcon suites are furninshed with a king bed or two twin beds, a dining area for two and it’s own fireplace. There is a large marble bathroom with two sinks, a bathtub, shower and handmade toiletries. Enjoy heated floors, wifi, flat screen TV with cable, DVD player, iPod speakers, mini bar, safe and cordless phone. Housekeeping services the suite three times daily. 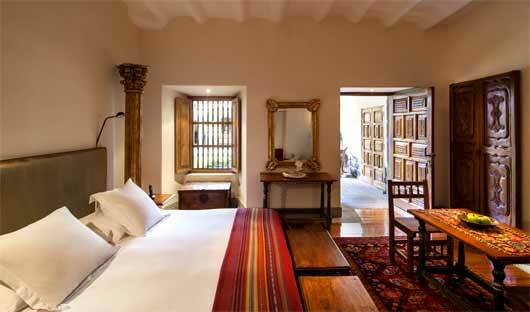 With colonial funishings and original designs the Patio Suites overlook the central courtyard of Inkaterra La Casona. The Patio Suites offer either one king bed or two twin beds. The suites include a dining area for two guests with a stone fireplace and have a marble bathroom featuring two sinks, a bathtub and shower, as well as handmade toiletries. Enjoy heated floors as well as wifi, flat screen TV with cable, a DVD player, iPod speakers, mini bar, safe and cordless phone. Housekeeping service is conducted three times daily.